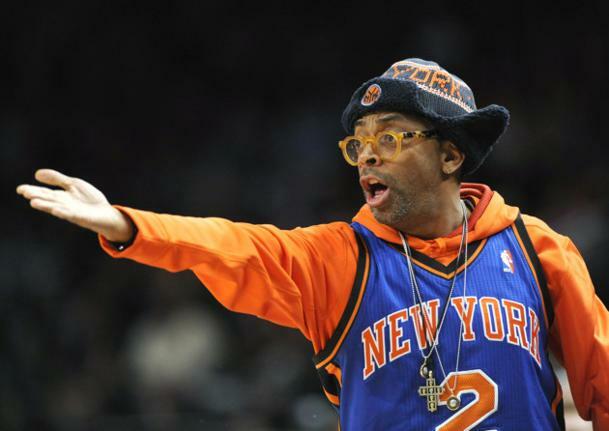 Spike Lee's retweet of a tweet thought to contain the address of Trayvon Martin shooter George Zimmerman has resulted in a firestorm of criticism—in part because the address was wrong. The Sanford, Fla., address contained in the director's retweet actually belongs to an elderly couple who the Smoking Gun reports are "now living in fear due to erroneous reports about their connection to the shooter." The original tweet—posted Friday by Marcus Davonne Higgins, a 33-year-old from Los Angeles using the Twitter handle @Maccapone—was sent to several celebrities including Lee, 50 Cent and LeBron James. Higgins urged friends on Facebook to "REACH OUT & TOUCH HIM." Lee retweeted the erroneous information to his 240,000-plus followers. According to the site, David and Elaine McClain, ages 72 and his 70, have lived in the 1,310-square-foot home for about a decade and work in the local school system. "We're keeping everything locked," Elaine told TSG. Both are unrelated to the 28-year-old George Zimmerman who shot and killed Martin last month. A spokeswoman for Twitter said the company does "not comment on individual users for privacy reasons." Lee has not apologized for disseminating the wrong address. But he has since taken to Twitter to retweet the hate-filled, racially-charged tweets directed at him—and to dismiss critics who say he was provoking vigilante justice. "I want justice, not a lynch mob," Lee wrote to one on Twitter. "Wake the hell up."